Multi-factor authentication enhances security by requesting two or more pieces of evidence from the user that is attempting to log in. 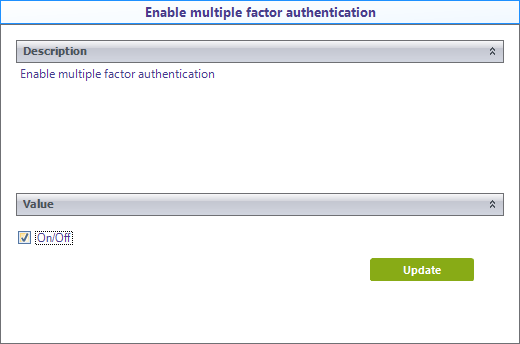 You can enable multi-factor authentication for both Bizagi and Mixed Authentication, from the Security Module in Bizagi Studio or the Management Console. This feature is available when quick login is disabled. Bizagi covers multi-factor authentication by sending a code via SMS or email. To set your SMTP provider, refer to E-mail server configuration . To set your SMS provider, refer to SMS provider configuration. 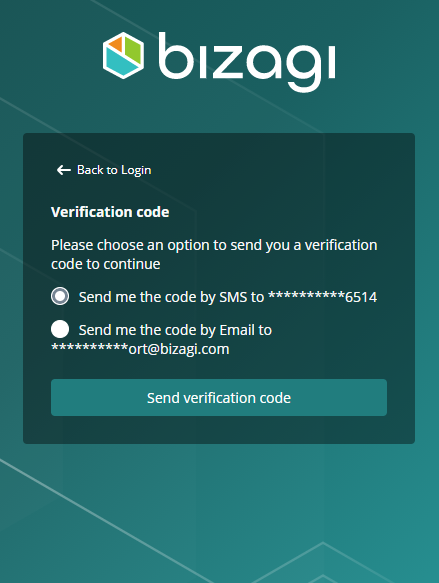 Once you have enabled multi-factor authentication, Bizagi will send an email or an SMS with the confirmation code to the user attempting log in. 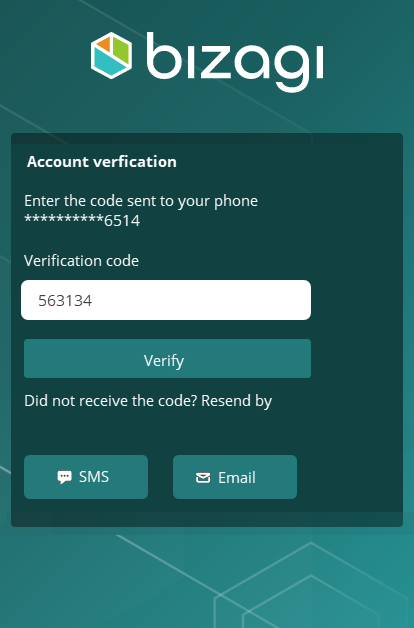 Depending of the set providers (email, SMS or both) Bizagi will ask the user how they wish to receive the confirmation code when they attempt to log in. Depending on the chosen option, the user will receive a six digit code that will allow them to log into Bizagi. The user can enter the confirmation code sent to them and enter Bizagi by clicking Verify. Similarly the user can request another code if it wasn't received by clicking the preferred button. •When the maximum number of retries is met, the user will receive a message via the set providers (email or SMS) informing them of this situation. •Each time the validation fails, it will count as a failed login.